I am in love with so many genres, but historical fiction will always be my first love. Many people lump historical fiction and historical romance together and this to me is tragic. Don't get me wrong, I'm not knocking on romance novels, but these are two separate genres for me. These are a few historical fiction novels that captured my heart. An infected bolt of cloth carries a plague from London to a small isolated village, and a housemaid named Anna becomes an unlikely heroine and healer. The year is 1666 and Anna and her fellow villagers face the spread of disease and superstition. As more and more people keep dying, villagers turn from prayers to witch-hunting. I read this book years ago and I still remember the bravery of the narrator, Anna. She saved so many lives in a small town and for this, people loved her and hated her. They believed her to be a witch. She had to choose.. keep saving lives and possibly burn at the stake or drop everything and hide. She chose the former. When I relate myself to the character, I believe I would do the same, but how do we know what we would do in a situation until that situation actually presents itself to us? For a thousand years her existence has been denied. She is Pope Joan, the woman who disguised herself as a man and rose to become the only female ever to sit on the papal throne. When Joan is young, she exhibits the extraordinary ability to learn. Women were not allowed to read or write, so her brother secretly taught his younger sister and she just inhaled the knowledge of every subject under her dying breath. During a Viking attack, her brother is killed and she steals his identity to enter a simple monastery to live a life full of books and healing. Knowledge of Joan's medical expertise and passionate nature spreads far. She eventually becomes an advisor to the Pope, who dies and she is elected to take his place. She now holds the highest office in the Christian religion. She passes many new laws and changes even more for the good of mankind. I adore this book because I can once again relate, as a female. She achieves a role meant only for men and then excels in that role to a capacity that makes her loved by all. It may be the 21st century, but I can still sometimes feel the stigma of being female amongst a sea of powerful men that dictate society's future. Pope Joan was smart enough to use her knowledge to do what the men before her could not. Martha Carrier was one of the first women to be accused, tried, and hanged as a witch in Salem, Massachusetts. Like her mother, young Sarah is smart and curious. Even though mother and daughter have their different opinions, thy are forced to stand together against the craziness of the trials and the superstitious society that led to the torture and imprisonment of more than 200 people accused of witchcraft. This is the story of Martha's courageous defiance and ultimate death, as told by the daughter who survived. Sarah sticks by her mother's side like most daughters would do, but she also knows to keep herself in check. This resonates with me because I love my mother, but I am not my mother and I do not have the same personality traits or opinions that she does. Somehow Sarah must protect her mother while also protecting herself. Another thing I have head to deal with in my life. I also enjoyed the new perspective on the Salem Trials. I feel like that part of history has been played out too much in novels and movies, but that this book achieves a new look and feel to that time period. Nefertiti and her younger sister, Mutnodjmet, have been raised in a powerful family that has provided wives to the rulers of Egypt for centuries. Nefertiti is destined to marry Amunhotep, an unstable young pharaoh. The other power players hope that her strong personality will temper the young Amunhotep’s heretical desire to forsake Egypt’s ancient gods, gods that have always been worships by all of the Egyptians. He wants to introduce a new sun god for all to worship. As in most royal families, there is the pressure to conceive a son, an heir. While Nefertiti is is engrossed in the troubles of conceiving, she fails to see that the powerful priests and military are plotting to overthrow her husband's rule. The only person to recognize the coming shift in power is Nefertiti's her younger sister, Mutnodjmet. Mutnodjmet doesn't care for money or power. She wants a peaceful life with a military general, but Nefertiti is selfish and demands that her sister stay at court and marry someone to gain more political power. To gain her freedom, Mutnodjmet must defy her sister, while also remaining loyal to the needs of her family. I love every single one of Michelle Moran's novels. She does her research for each novel and knows her history. This isn't just another historical fiction novel about Egyptian royalty. I became so immersed in the novel and my love/hate for the characters was off the charts. You aren't bogged down by historical facts... the author simply completely immerses you in the time period. I felt like I should like my eyes with kohl and wear gold jewelry every time I picked it up to read. These are just a few of my favorite historical fiction books. You've probably noticed all of them have strong female lead characters who have major obstacles to hurdle. These women inspire me and I hope they inspire you as well. 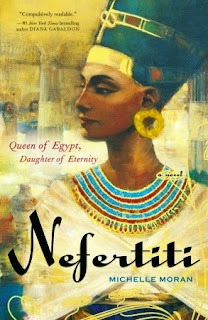 I've Nefertiti, and I agree I love Michelle Moran's writing. 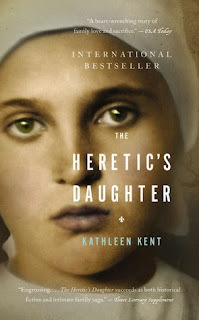 I've also read her book Heretic Queen, and her newest one Rebel Queen. Both were just as good as Nefertiti. I have Year of Wonder on my store shelf and I was debating on picking it up, it certainly sounds really good! Year of Wonders is such a good book. Did that one with a book group. Have you read other books by Geraldine Brooks? She has some good ones and a new one coming out later this year. Year of wonders was good. I've wanted to read Nefertiti because I've loved every Moran book I've read. Thanks for the reminder. I love this list! 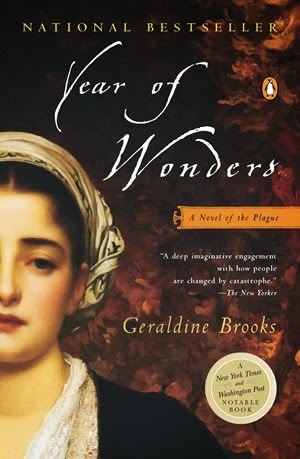 Year of Wonders is one of my favorites too and I have been meaning to read Pope Joan for years. Great list! I loved Year of Wonders and I've been meaning to reread that one forever. I have loved all of her books really though. Nefertiti is one I need to get to too! 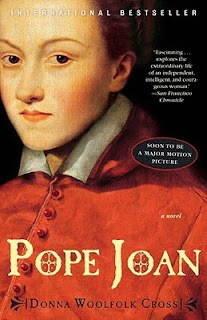 I have only read Pope Joan, and it's SO good! The others I'll put in my to-read-list.